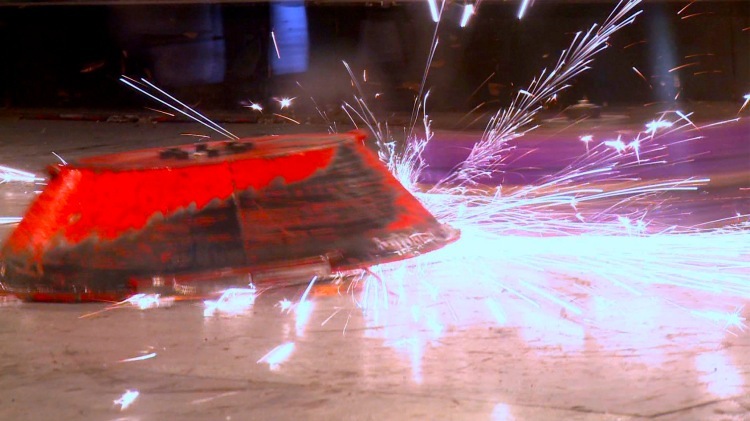 Back in August we spoke to Joey Daoud, director of the high school battle bots documentary Battle Bots. While we were only able to share a few clips, you’ll have the opportunity to see the full feature for free Oct 6th as part of the Bots High Free Worldwide Screening Day. Find a screening near you or create your own! It doesn’t have to be a in a traditional movie theater – any communal space with a screen, projector, and sound system can become an instant screening room. Screenings will be taking place at various times throughout the day, and there’s also the opportunity for you to tune into the live cast and crew webcast. Find a local screening or set up your own after the jump.